Digital signage made easy with Google Chromebase. PLEASE NOTE: Google have recently made a change which will mean that new Chrome OS devices will not support stand-alone kiosk mode. If you require kiosk mode, you will need a Chrome Device Management (CDM) license. Without this, you will not see the option to use kiosk mode on your device. If you need a CDM license you can purchase this through our partner Promevo. Looking for a way to use your Google Chromebase as a digital screen? The latest Google Chrome product is a nifty way to set a screen up either on a desk or a wall, that powers your digital content for all to see. In this guide we’ll walk you through how to use your Google Chromebase to show digital signage, how to install it and what possibilities there are once you’re up and running. When it comes to digital signage you usually have one of two options: an Android TV or a regular TV powered by a device like a Google Chromebit or an Amazon Fire TV Stick. 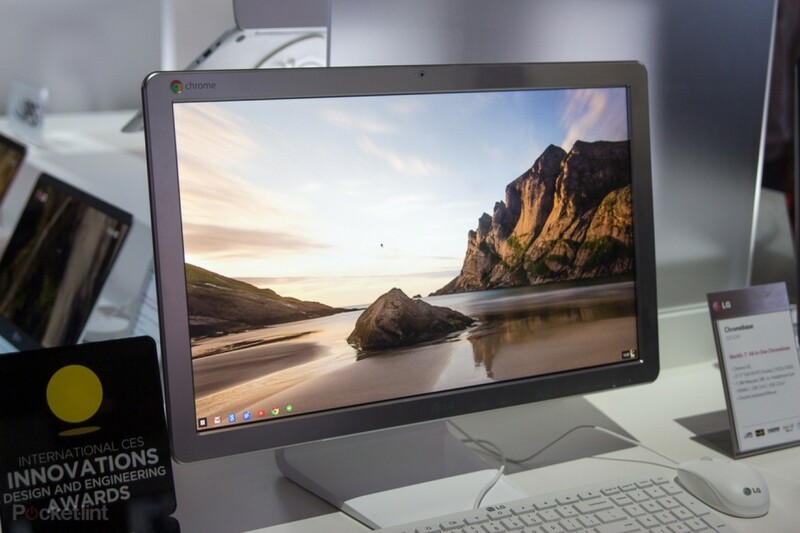 With the Google Chromebase all you need is the screen itself. The Chromebase is effectively a desktop PC but its key selling point lies in its ability to share information. If the iMac is for solo designers and the Windows PC is for solo workers, then the Chromebase is for collaboration. It has a 23.8" screen and full HD resolution 1920 x 1080, which is what most digital signage screens run on. The screen tilts which helps with visibility and it can be wall or desk mounted, creating a more flexible digital screen solution. The Chromebase also has four mics - something that may come in seriously useful when voice-activated screens come into play. You’re looking to setup digital signage for your meeting room, where the screen can be used to manually show information as well as to have ambient content playing. You already have one! Of course it’s easier and more cost-effective to work with the technology you already have available. You want your digital signage on a desk, rather than on a wall. Ease of use - the Chromebase lets you setup a digital signage display with no other hardware needed. Once you have your Google Chromebase where you want it, use this simple guide to get it setup. Once you’ve connected to WiFi on-screen, you have two options. If you’re looking to use your Chromebase solely for digital signage you may want to put it into kiosk mode. If you’re using your Chromebase for other means alongside digital signage, skip the next step and instead download the ScreenCloud player direct from the Chrome Web Store. Turn on your screen and run through the configuration steps until you reach the Google login screen. Before you log in, use the keyboard shortcut Ctrl+Alt+K which will allow you to enable Kiosk Mode. Now log in using your Google account and open Chrome. Once Chrome is open, enter chrome://extensions into the address bar. From this screen, turn on Developer Mode. This is needed to manage kiosk apps and work locally without using remote management tools. Once you have added the app, click to enable auto start. Leave “Permanently keep device is kiosk mode” unchecked. Close the Kiosk apps dialog and sign out of the device. You should now get asked for permission for ScreenCloud to auto-start, click “Allow”. Once you click allow, the device will restart and load ScreenCloud in kiosk mode. To exit kiosk mode and return to desktop usage restart the device and use the shortcut Ctrl+Alt+s after the splash screen. For instructions on how to setup Kiosk mode on a managed device see this link. 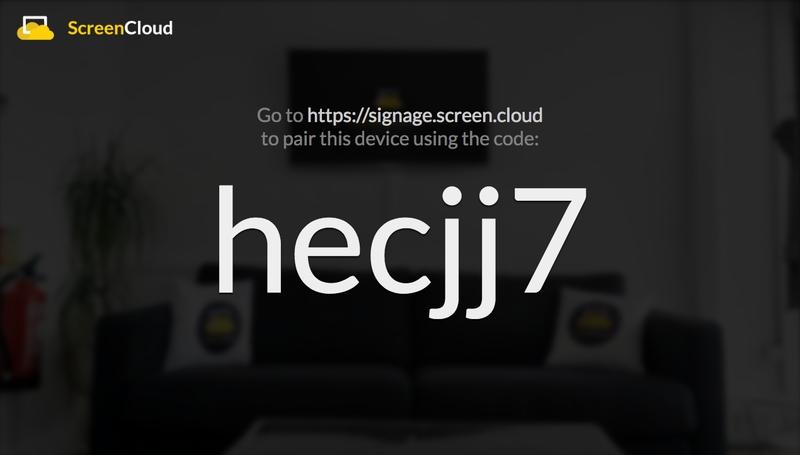 Once the ScreenCloud app has loaded, you’ll see a pairing code that looks like the below. Once you have this, open https://signage.screen.cloud/ on your laptop or PC and sign up for a ScreenCloud account - use our 14-day free trial to get you started. Once you’ve signed up, you can choose ‘add screen’ from the screen below. Enter your pairing code from the previous step and that’s it! You’re now running content on your Chromebase from wherever it’s being managed. 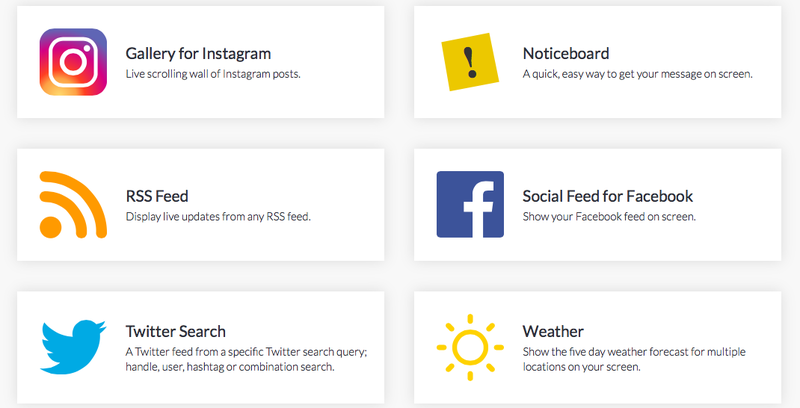 Once setup, you can use your Google Chromebase to share any type of content you like. From images and videos, to social media feeds, live news and travel information. Visit our App Store to see over 50 apps available for you to add (for free) or add your own images, videos, websites and galleries using the file uploader. Once you’ve added your content of choice, you can then organize it all using the playlist and scheduling tools. Drag and drop different forms of content into one easy-to-assemble playlist and then choose when you want it to show. Sign up for a free trial at ScreenCloud Signage today to give it a whirl!